Ever since my Apple Music Redesign both me and Hologram were approached many times with Music/Streaming related projects. Unfortunately many of these awesome startups didn’t had resources to pay for a full, personalised design project. 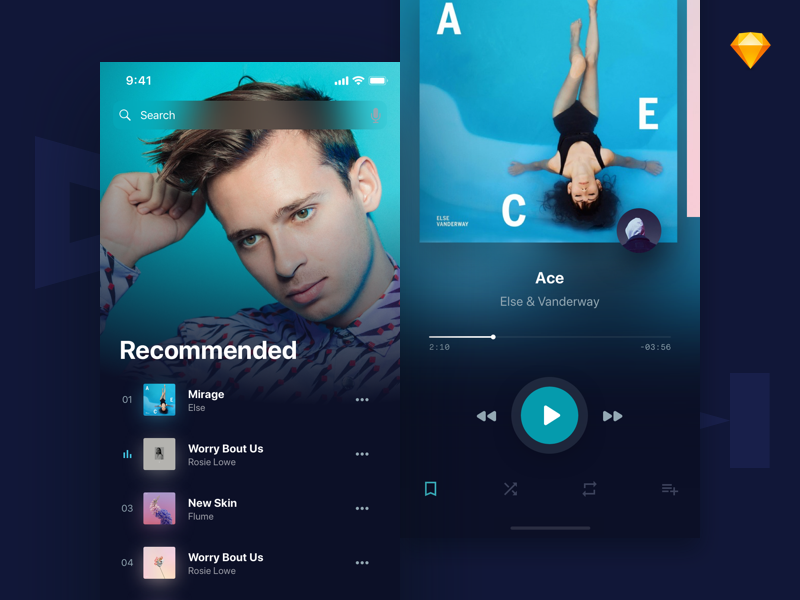 So we’ve decided to build a comprehensive UI Kit for Music Streaming Apps, first one built on real life experience, gathered while working on this type of projects. Full set will include responsive designs for desktop, mobile and tablets, for now enjoy this FREE resource, sketch files for playlist and a player.